Learn Eastern box turtle care, eastern box turtle diet, box turtle habitat, box turtle husbandry and more. Learn Eastern box turtle diet, eastern box turtle care, eastern box turtle habitat setup and more. 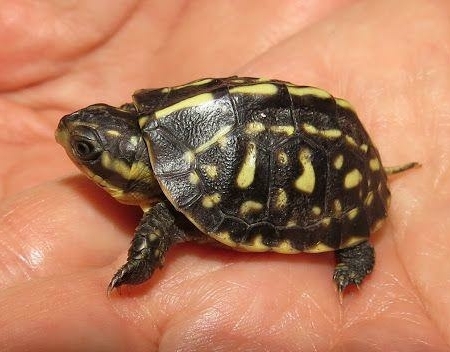 Before purchasing your new eastern box turtle for sale online, or your new 3 toed box turtle for sale, or the chinese box turtles for sale or the florida box turtle for sale, find a reputable turtle breeder including eastern box turtle breeder that only breeds captive bred baby eastern box turtles for sale. An experienced captive bred box turtle breeder that offers healthy and well started baby box turtles for sale. The eastern box turtle (Terrapene carolina carolina) is a subspecies within the species Terrapene carolina. It is called eastern box turtle since it is native to the eastern parts of the United States. The eastern box turtle lives in the eastern United States, from eastern Kansas, Oklahoma and Texas to the Atlantic Ocean. They are found all the way from southern Florida in the south to southern Main and the southern and eastern parts of the Michigan Upper Peninsula in the north. They are present in the Great Lakes region, but they are rare there and typically limited to areas far away from busy roads. In the southern parts of their range, eastern box turtles are found up to 6,000 feet in elevation. In the north where the climate is colder, this subspecies is normally limited to regions below 1,000 feet above sea level. 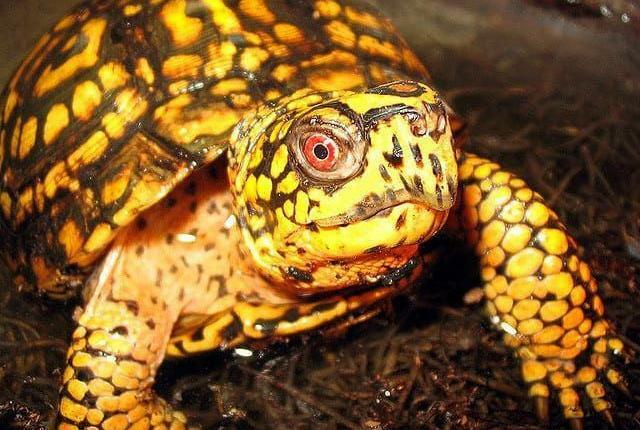 Pennsylvania almost made the eastern box turtle their official state reptile. The suggestion made it through one house of the legislature, but failed to win a final naming in 2009. The eastern box turtle is known to appreciate a moderately moist forest floor with good drainage. Bottomland forest seems to be more popular than ridges and hillsides. Sometimes eastern box turtles are encountered in non-forested areas, such as grasslands and pastures. Just as in the forests, the turtles want the floor to be moderately moist in these environments and seek out areas with wet leaves or wet dirt. When the weather is warm, eastern box turtles cool off by bathing in puddles and shallow streams. They can also submerge themselves in mud, sometimes for days at a time, to avoid the heat. Eastern box turtles are normally around 4.5-6 inches long, but specimens over 7 inches do occur. The carapace is high and dome-shaped, with a hinged plastron that makes it possible for the turtle to completely close the carapace. 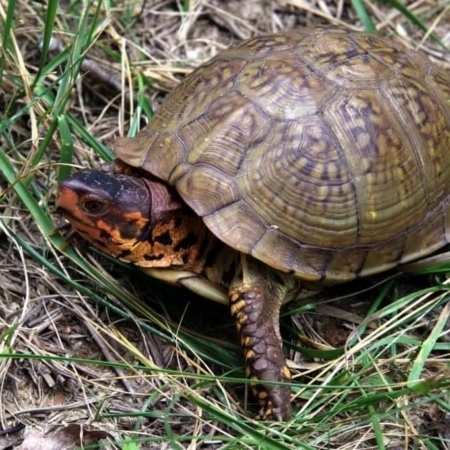 This ability to completely close the shell is found on all box turtles. The coloration varies, but the carapace of an eastern box turtle is usually brownish or black and adorned with a yellowish to orange radiating pattern of lines, blotches and dots. The coloration and pattern of the carapace (and the skin) makes it easy for the eastern box turtle to stay hidden among fallen leaves. 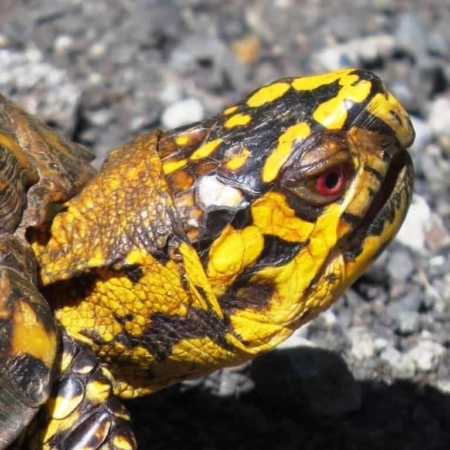 The exact skin color varies from turtle to turtle, but the skin is usually brown or black and decorated with spots or streaks of yellow, orange, red and/or white. In certain isolated populations, male turtles may sport blue patches on their cheeks, throat and front legs. The legs of an eastern box turtle are stout. Each front foot have five toes, while each hind foot have four toes (or, more unusually, three toes). The toes are webbed at the base. The beak is sharp and horned. Males normally have red irises, while females normally have brown irises. The female has a flat plastron, while the male has a concave plastron. This way, the male can fit over the back end of the female’s carapace during mating. What does an Eastern Box Turtle eat? Eastern box turtles are opportunistic omnivores that will eat both animal and plant matter. They are known to eat a lot of different things, including fruits, berries, mushrooms, flowers, grasses, etc. They can catch prey but will happily eat carrion as well. In the wild, they catch suitably sized animals such as snails, worms, slugs and beetles. If opportunity present itself they will happily go after bigger prey as well, e.g. birds caught in nets. How old can an eastern box turtle get? Eastern box turtles exceeding a hundred years of age have been encountered in the wild. Due to unsuitable living conditions and faulty diets, captive eastern box turtles often die much younger than this. 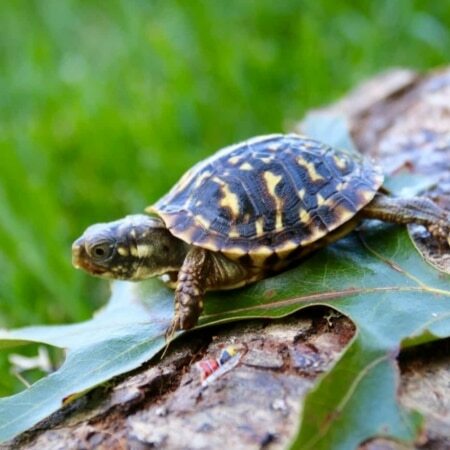 Please note that catching, buying or keeping a wild caught eastern box turtle (or a captive raised eastern box turtle without the proper documentation) may be illegal in your area. The eastern box turtle is found in many different habitats in the wild, from fields and grasslands to forests and lake margins. It is a flexible and adaptable turtle, characteristics that makes it one of the easier box turtles to successfully care for in captivity. 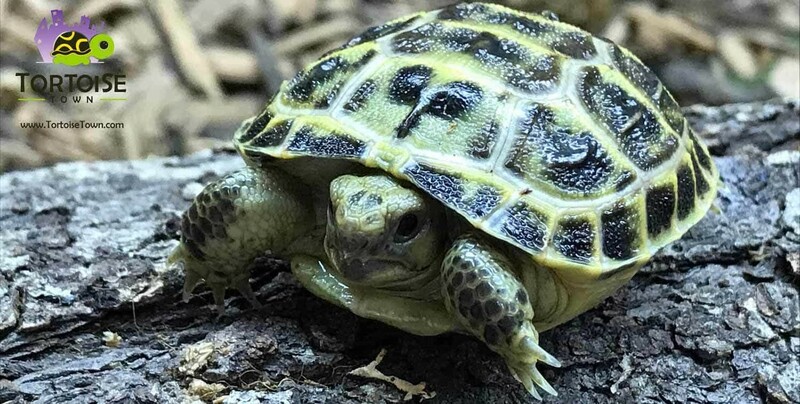 Eastern box turtles should ideally be kept outdoors, but a large indoor inclosure will also work if you make sure that the turtle get enough sun light or artificial UVA and UVB light. Full spectrum light is required for vitamin D3 production. The box turtle should be given opportunity to adjust its own body temperature by moving to different parts of its enclosure. A sunny area with a temperature of 85-87° F (29-30° C) should be combined with a cooler shaded area where the temperature is in the 75-78° (24-26° C) range. The cooler area should preferably have a moist substrate deep enough for the turtle to burrow in. A water dish large enough for soaking should also be present in the enclosure. Sand, compost soil, smooth river gravel, moss and leaf litter are all examples of suitable substrates. Try to mimic a natural environment, e.g. by combining compost soil with some leaf litter and moss. The eastern box turtle likes a moist substrate resembling a humid forest floor or grassy meadow. Take a look at the natural diet of the eastern box turtle and try to give it similar foods in captivity. Of course, one does not have to be super-strict. For instance, wild eastern box turtles are unlikely to encounter kiwi fruit since that fruit is native to another part of the word, but they will still do nicely on a diet that contains kiwi in captivity since they are generalized fruit-eaters in the wild. 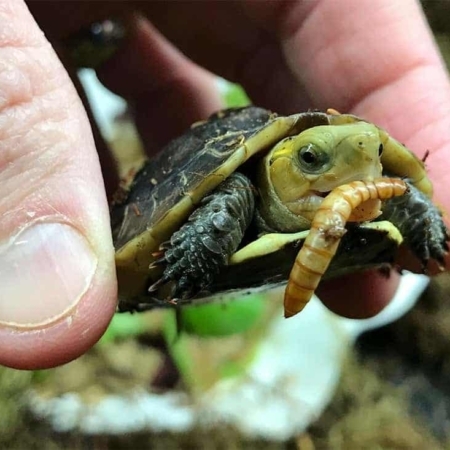 As a rule of thumb, give your eastern box turtle roughly 50% protein-rich food (such as worms, beetles, grasshoppers, etc), 10% dark leafy greens and 40% vegetables, fruits and mushrooms. If you feed your turtle muscle meat (i.e. meat without bones, shells, and other calcium rich parts) the food should be sprinkled with calcium. Water should always be available for the turtle, not just to drink but to soak in as well. One of the most common problems for eastern box turtles in captivity is a respiratory disease. Runny or clogged nostrils, wheezing, labored breeding, and foaming around the nostrils and mouth are signs of respiratory illness in the eastern box turtle. Respiratory problems is often a sign of the environment being too dry for the pet. Out indoor climate is often much too dry for an eastern box turtle. Keeping the substrate moist enough, giving the turtle a big water tray and using a humidifier in the room where the turtle lives can help. As always, you need to mimic the natural climate of the eastern box turtle.